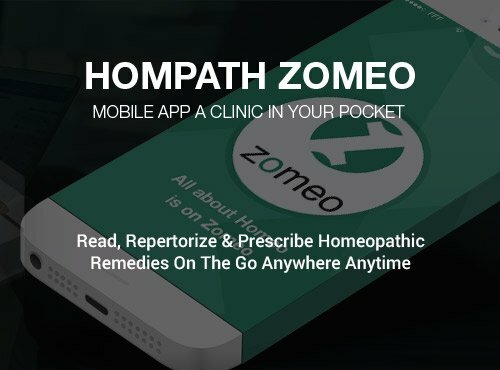 Hompath Zomeo Mobile App is a complete homeopathy mobile software for your android phones, iPhones & iPads. 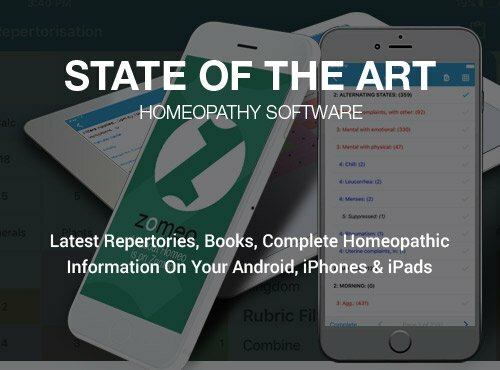 The homeopathic mobile app is packed with 33 repertories including Complete Repertory 2017 and 820+ volumes of homeopathic books with an intelligent & accurate search. 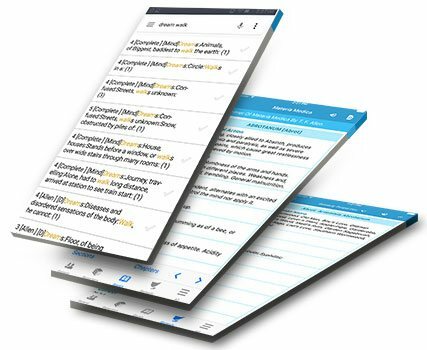 Analysing and Prescribing just a touch away with this mobile app. The best investment you can make for your homeopathic practice. Why be a homeopathic practitioner only in your clinic, when you can wear your professional hat wherever you are? Modern way to solve a case with an easy, mobile-first approach. 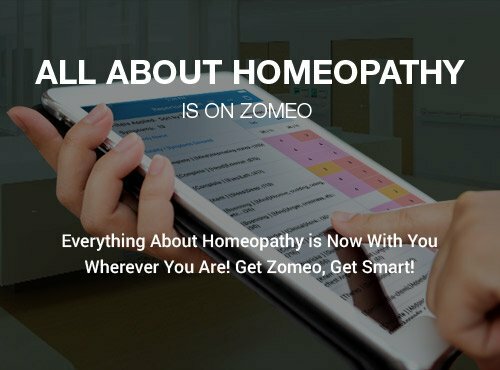 Scour through the huge database of homeopathic materia medica books, repertory, journals, articles and cured cases within minutes using the intuitive and intelligent global search in Hompath Zomeo Mobile App. Read, learn and apply effortlessly! Why limit knowledge only to homeopathic remedies and homeopathy repertory books? 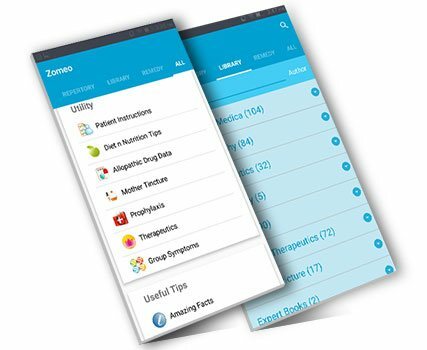 Zomeo mobile app is also packed with clinical tips, prophylaxis, and disease-specific diet and lifestyle management tips to help you to give your patients a truly holistic health. Maintain paperless records of patients in one place and access from anywhere at any time. Data stays secure and with you all the time! Need a detailed case history & prefer recording rubrics as patient narrates complaints? 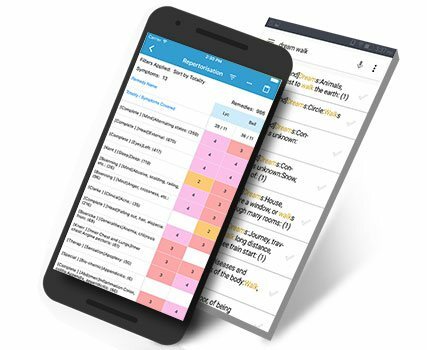 Hompath Zomeo Mobile App has Quick Case Record to meet your needs. Whatever your needs, Zomeo has it all! 820+ volumes of homeopathic books, 5 Journals with 3400+ articles, 8000+ cured cases! You need not look anywhere else for anything in Homeopathy! It is all there in one mobile app! Stuck in difficult acute or chronic cases and need targeted help? 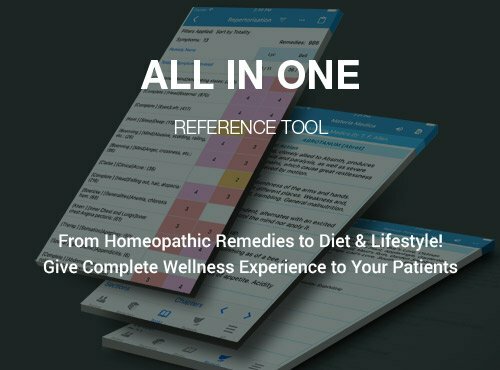 This feature will boost your faith in homeopathic remedies! Call it a specially designed, clinical homeopathic materia medica! 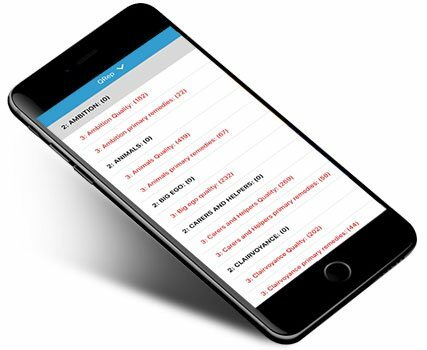 Have a Look at Our Incredibly User-Friendly, Engaging Interface of Hompath Zomeo Mobile App! Your computer/laptop should have following basic system configurations to run Zomeo Academic Software. Your device should have following basic system configurations to run Hompath Zomeo Mobile App. Increase Your Prescribing Pace. Download The App Now!